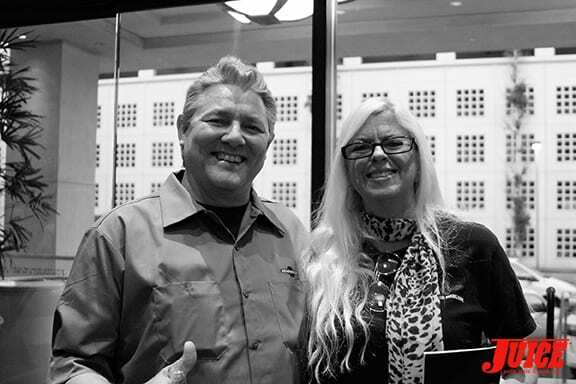 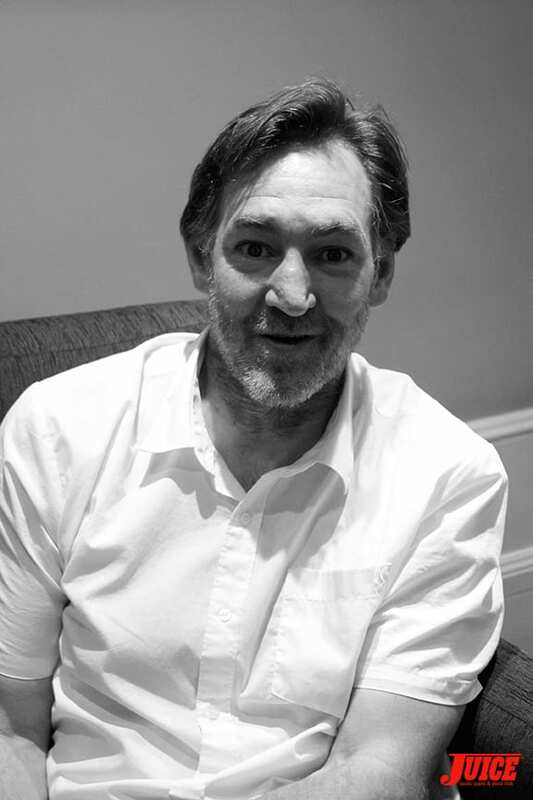 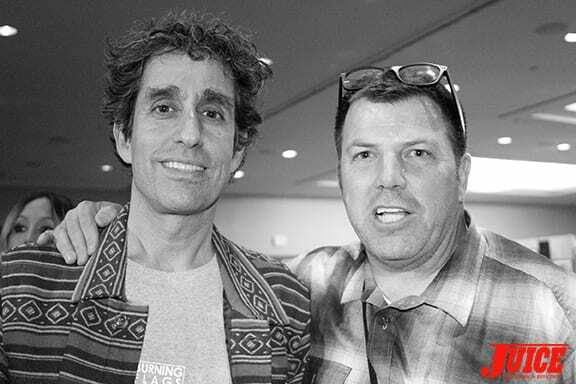 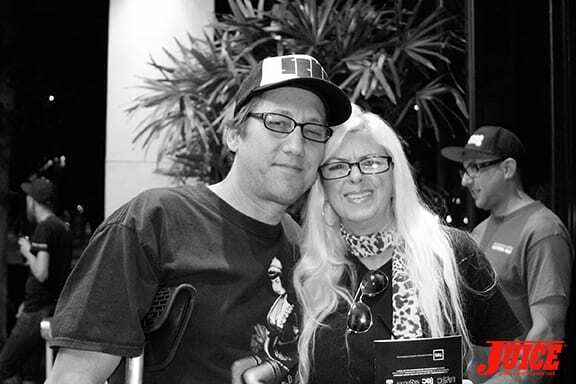 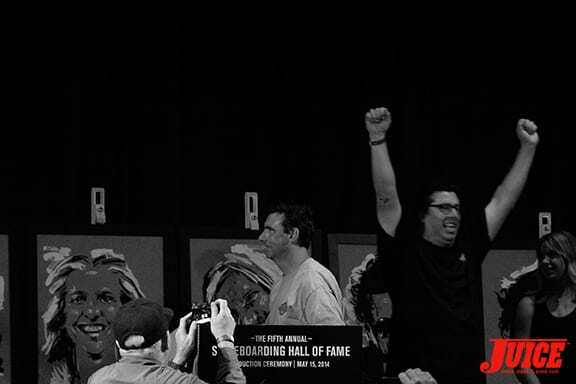 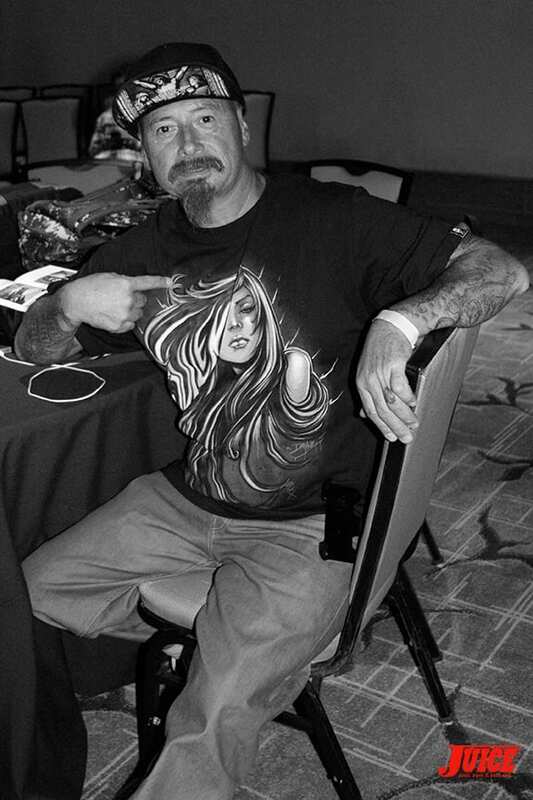 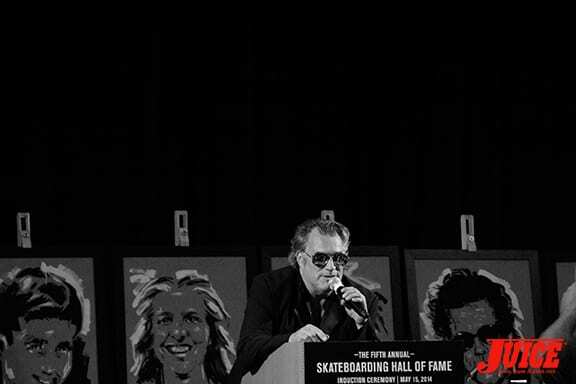 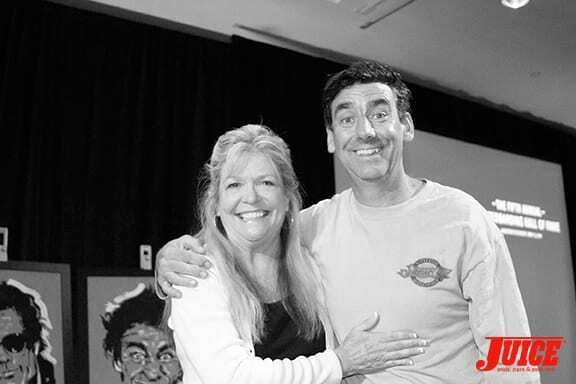 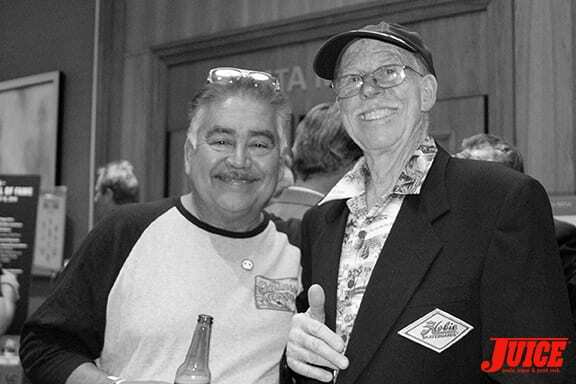 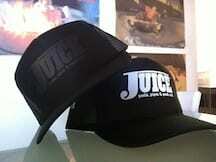 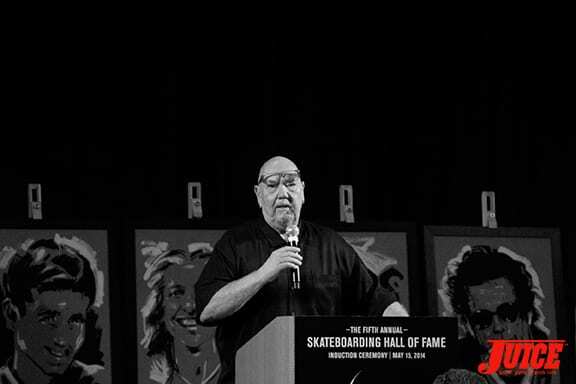 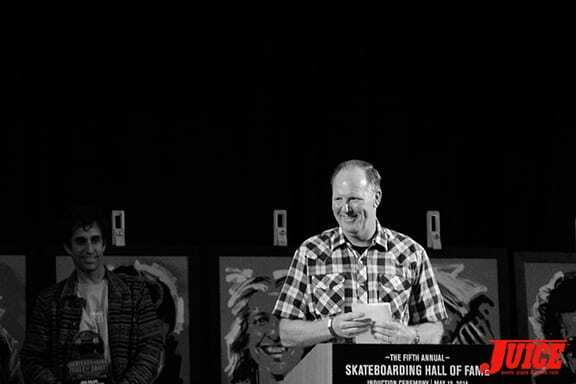 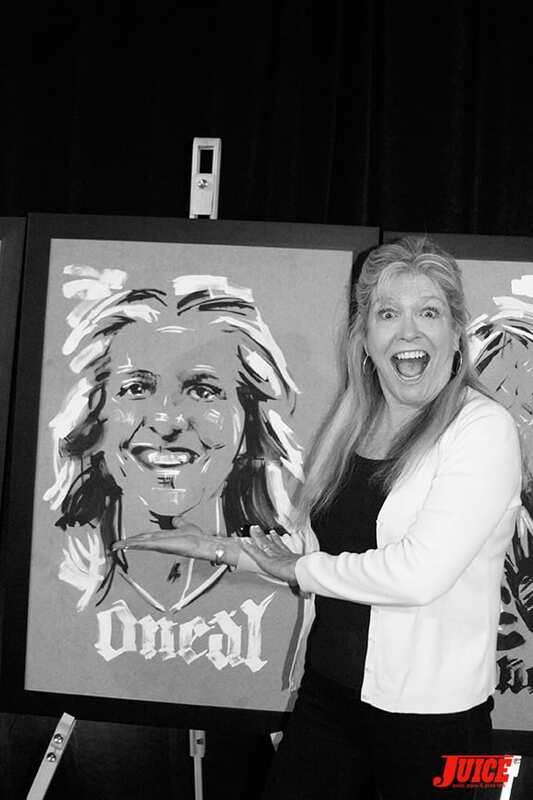 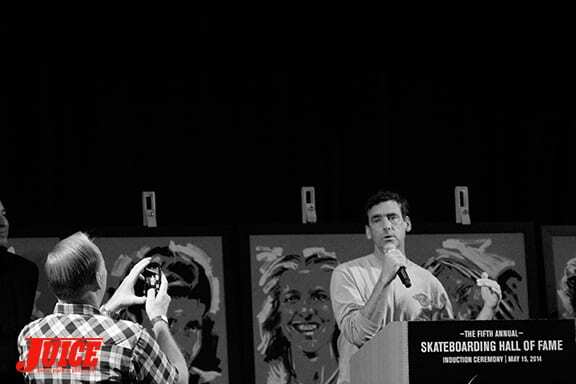 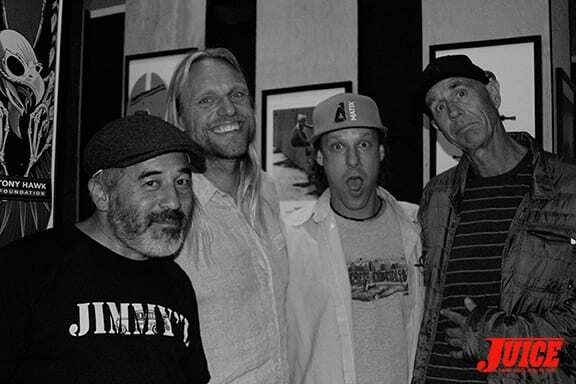 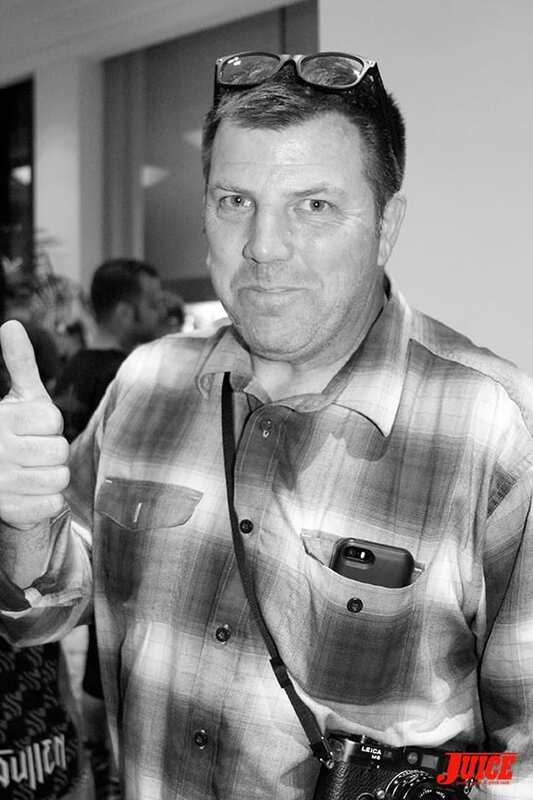 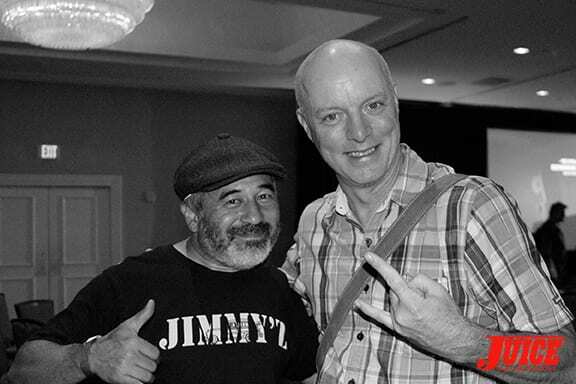 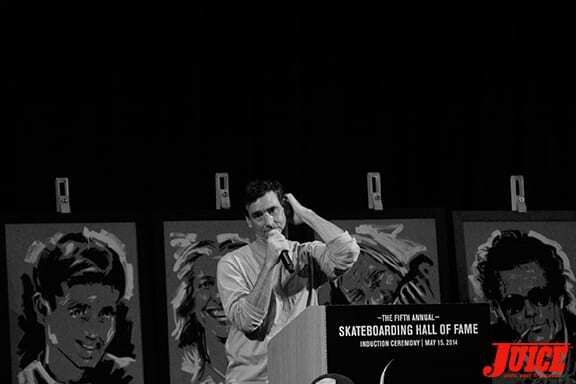 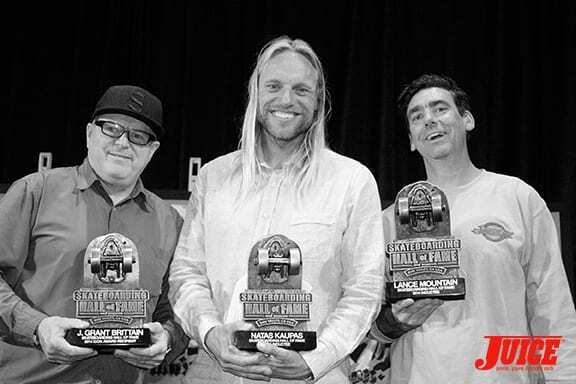 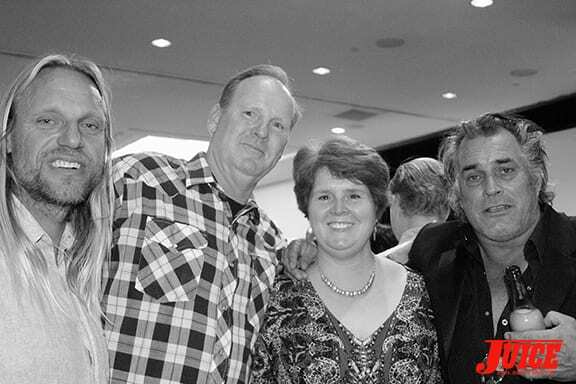 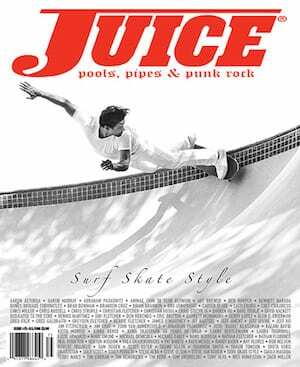 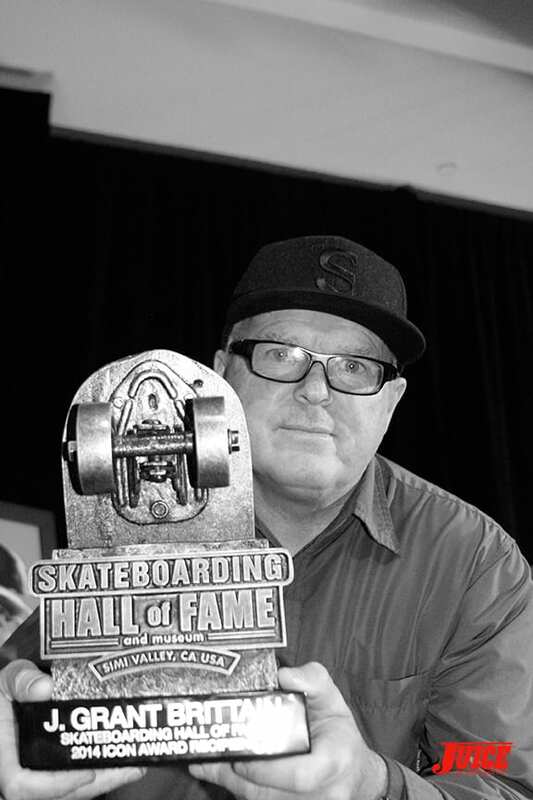 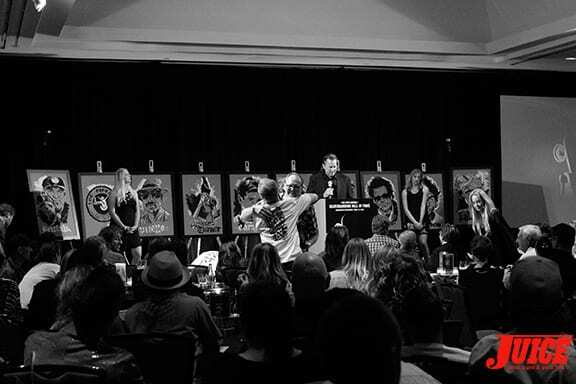 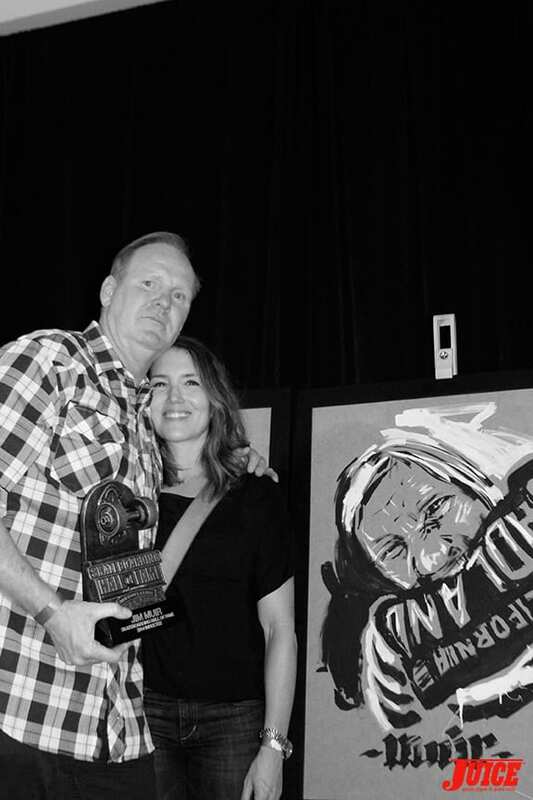 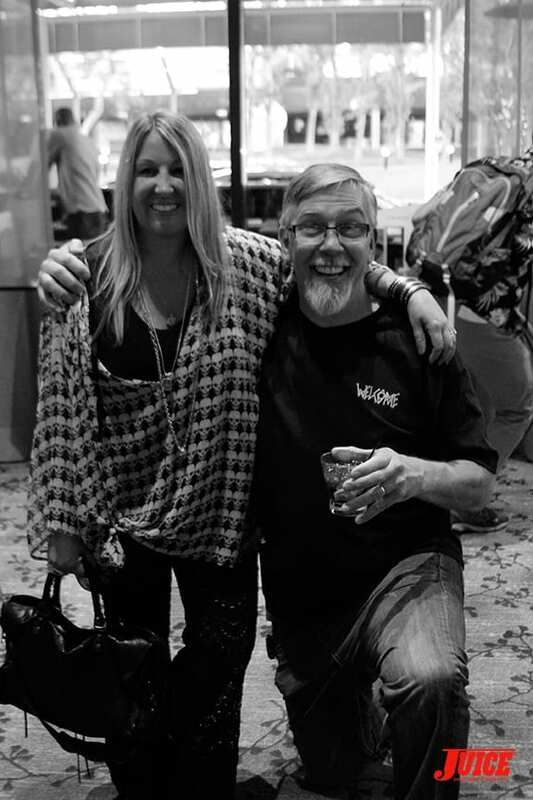 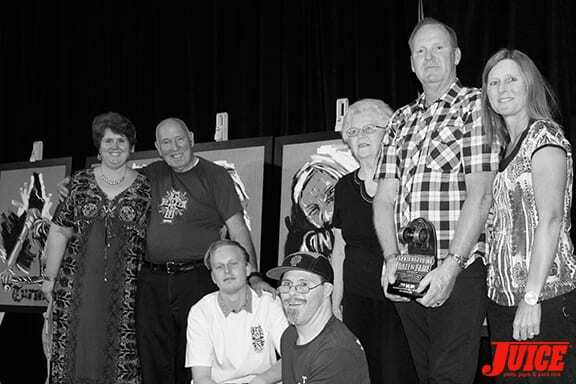 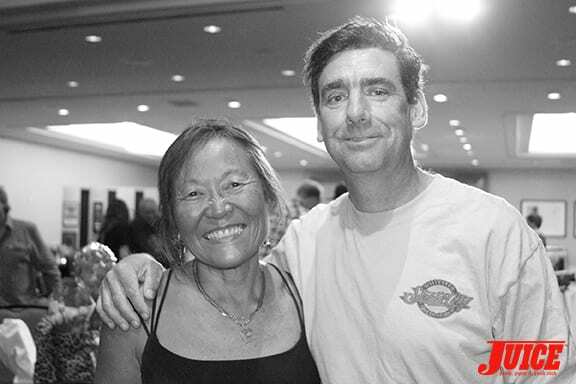 2014 Skateboarding Hall of Fame inductees: Gregg Carroll (1960s), Jim Muir (1970s, Era One), Steve Olson (1970s, Era Two), Lance Mountain (1980s, Era One), Natas Kaupas (1980s, Era Two), and two women –Laurie Turner DeMott (1960s) and Ellen Oneal Deason (1970s). 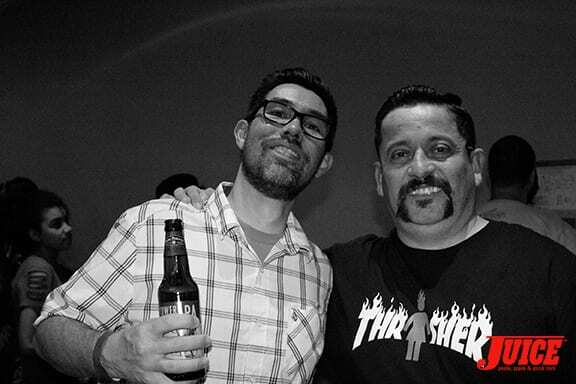 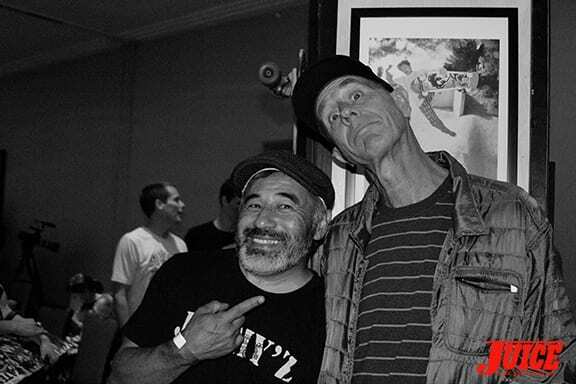 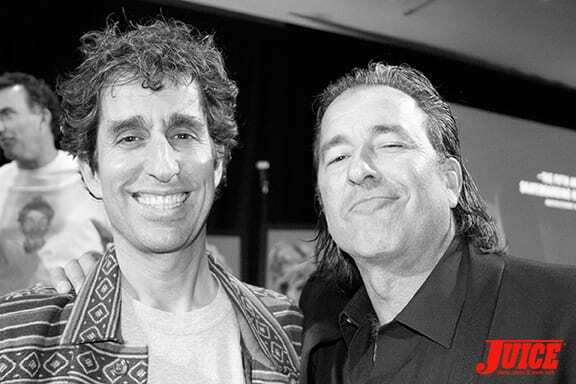 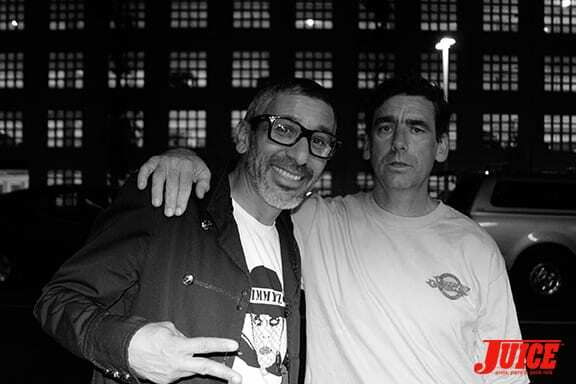 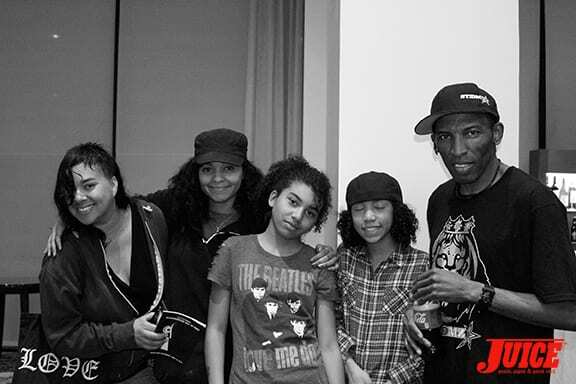 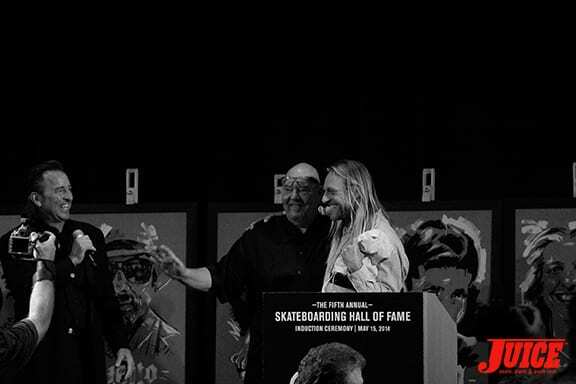 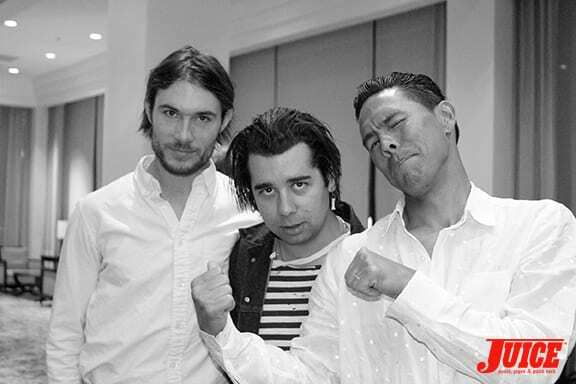 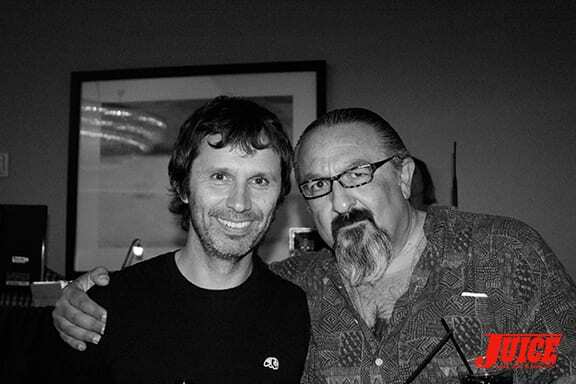 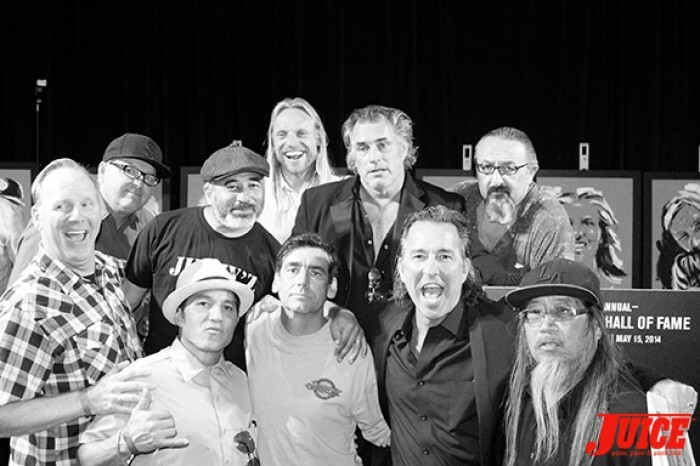 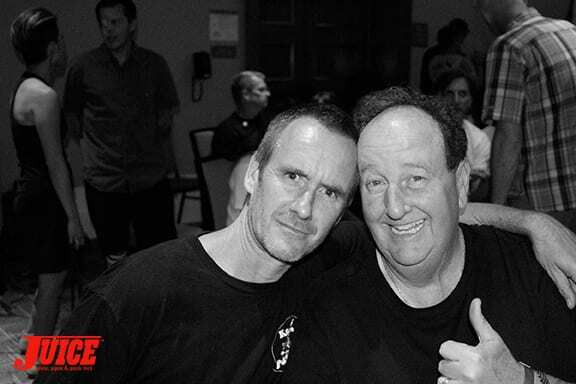 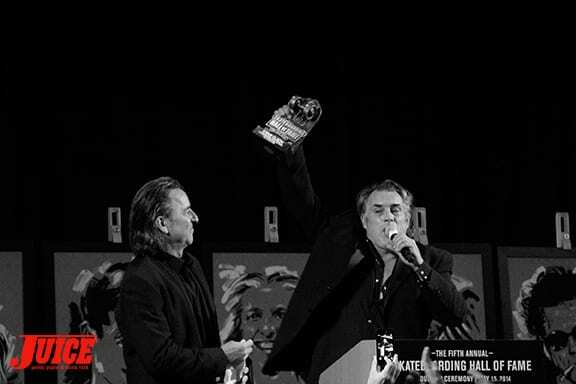 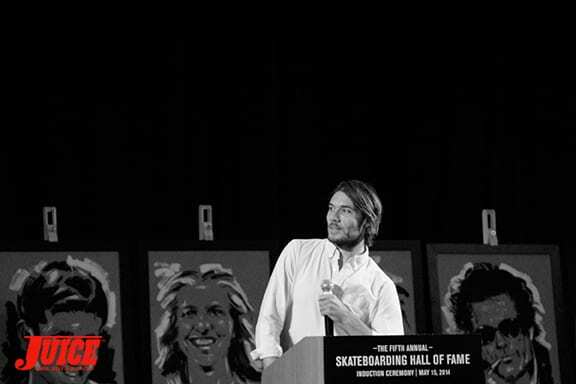 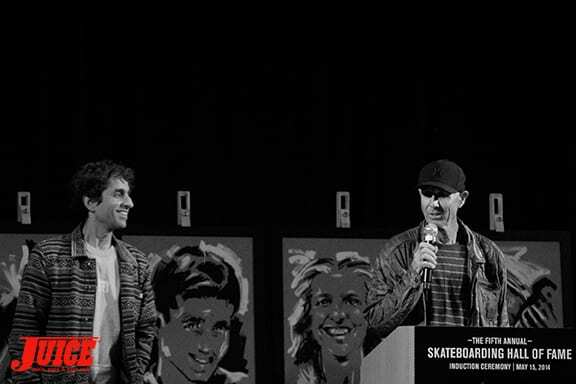 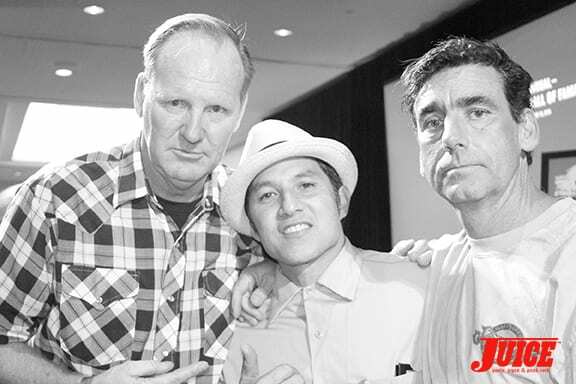 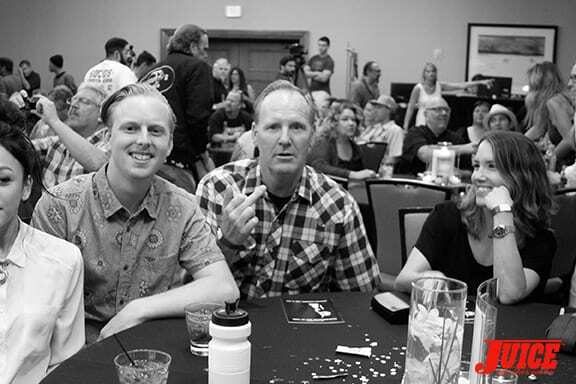 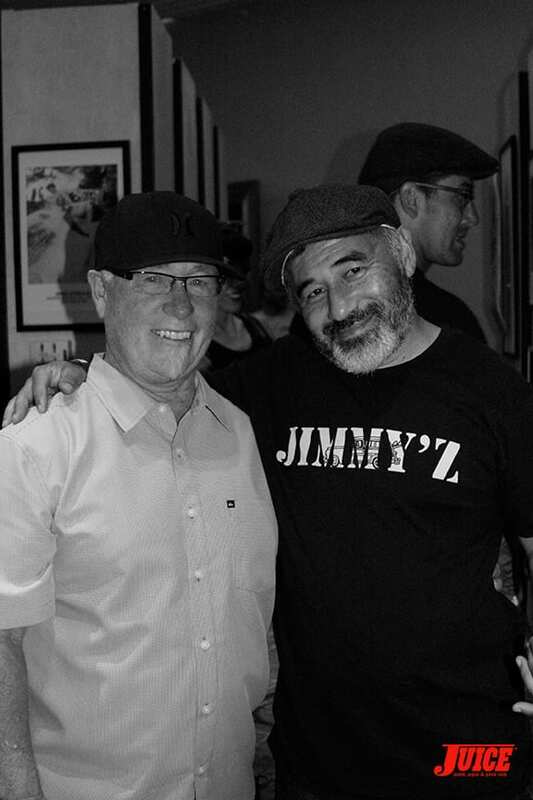 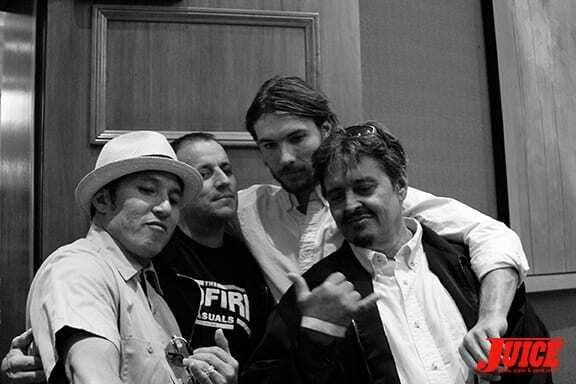 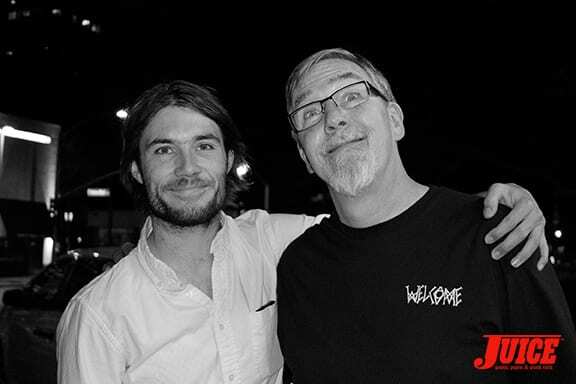 2014 Skateboarding Hall of Fame Icon Award recipients: Fausto Vitello, J.Grant Brittain and Pipeline Skatepark / The Hoffman Family. 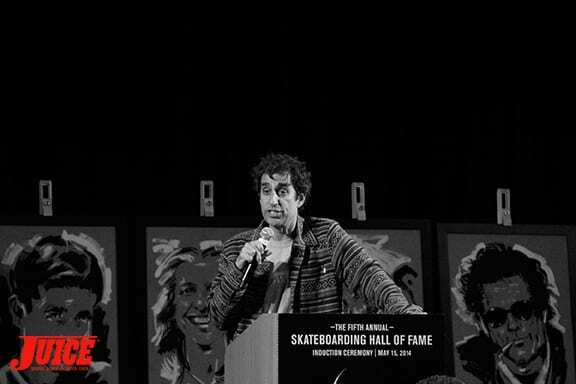 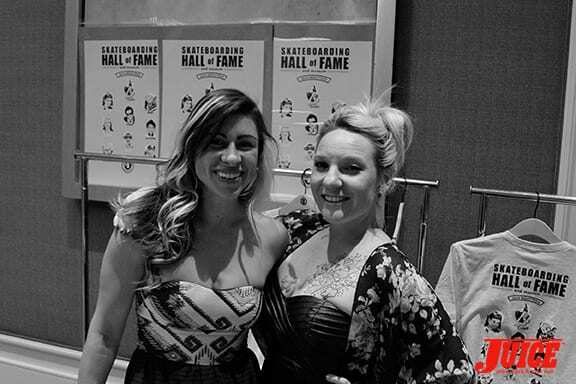 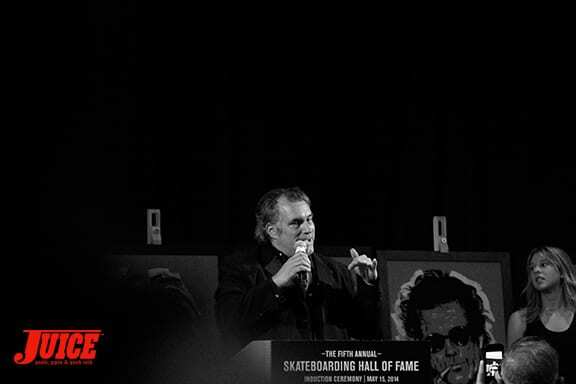 Created in 2009, The Skateboarding Hall of Fame recognizes and honors the history of skateboarding and those influential figures who have significantly shaped skateboarding and our culture throughout the years. 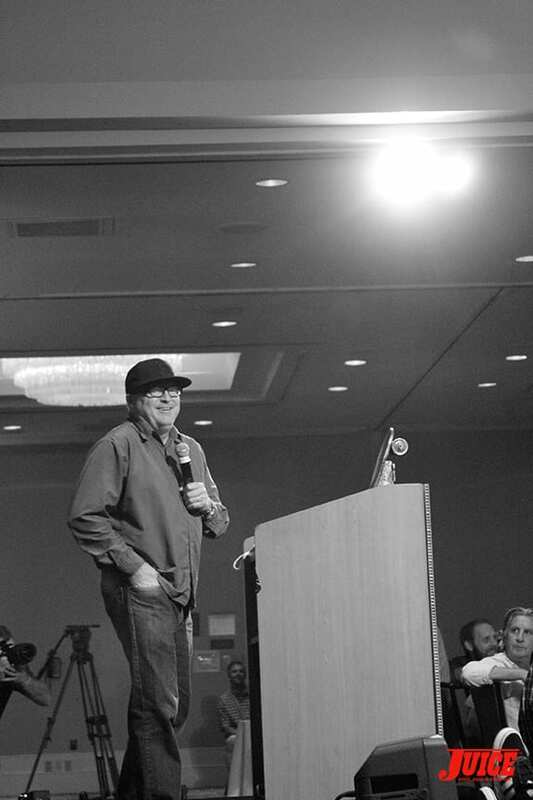 Glen E. Friedman got the crowd going with his speech for Muir. 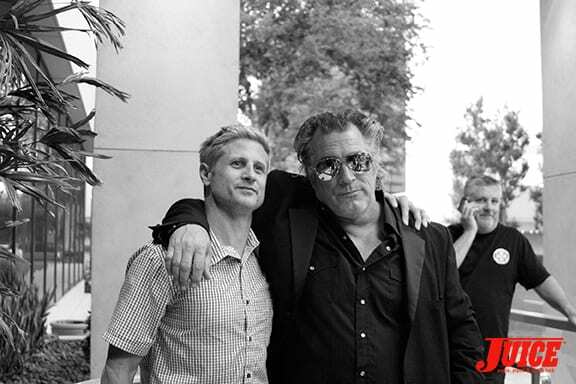 Photo by Dan Levy. 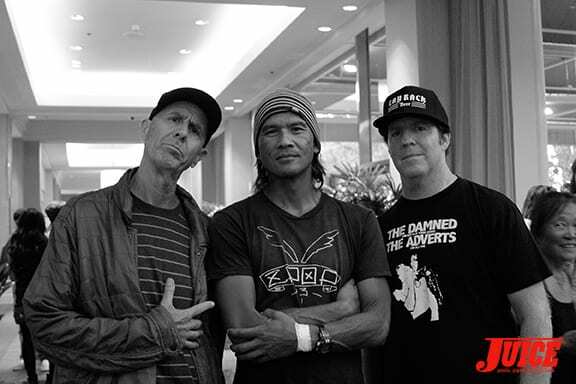 Lance being Lance while Grant and Natas pose for photos. 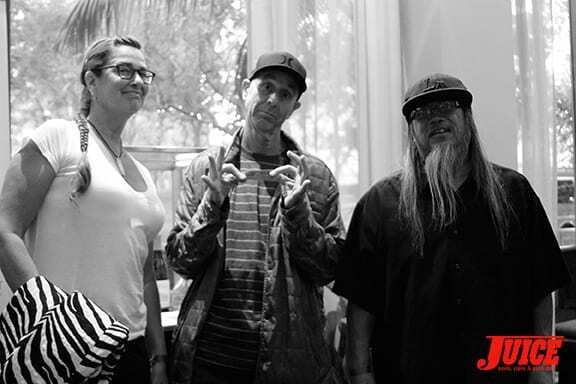 Photo by Dan Levy. 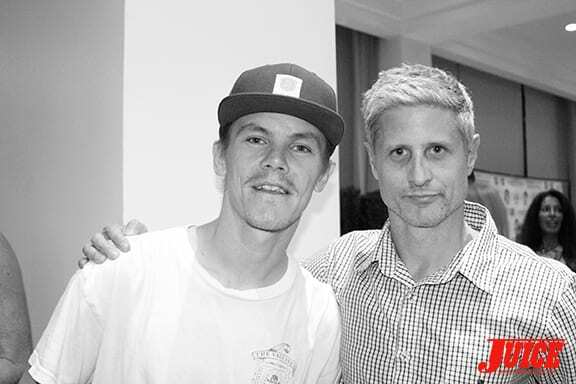 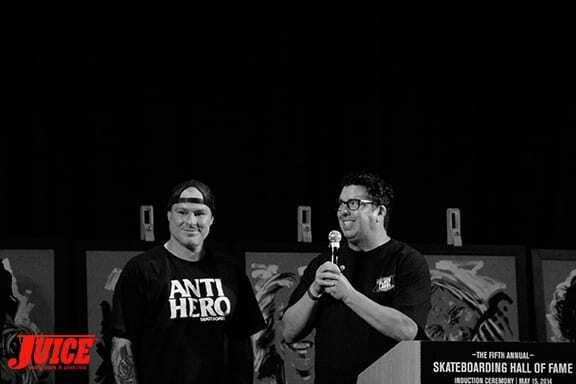 Jeff Grosso and John Lucero performing for Lance Mountain’s introduction. 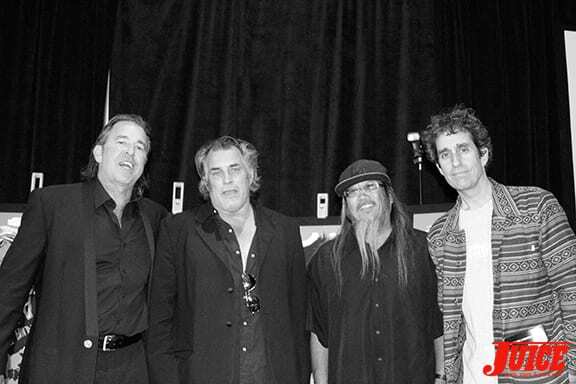 Photo by Dan Levy. 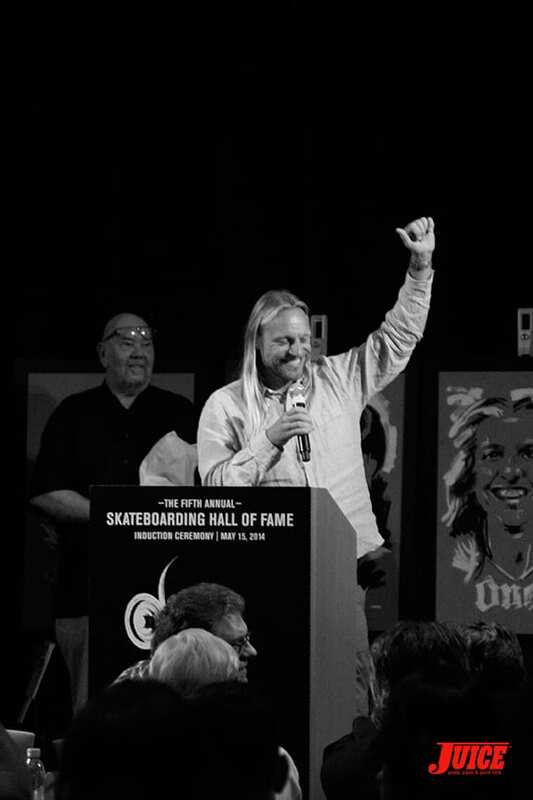 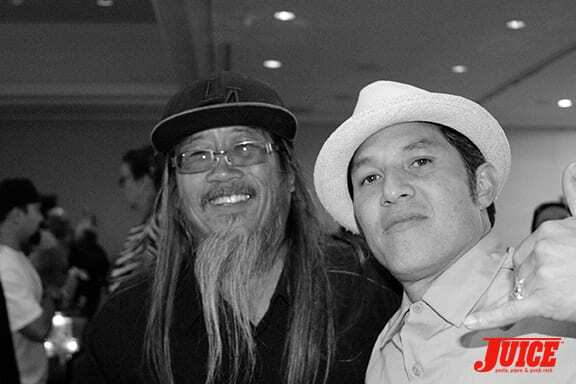 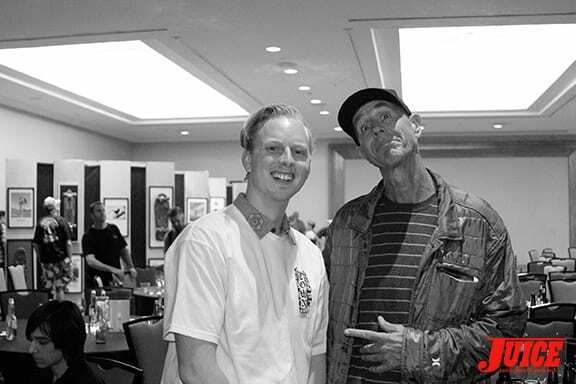 Check out this year’s IASC Skateboarding Hall of Fame 2014 at the Westin South Coast Plaza Hotel in Costa Mesa, CA this Thursday, May 15th! 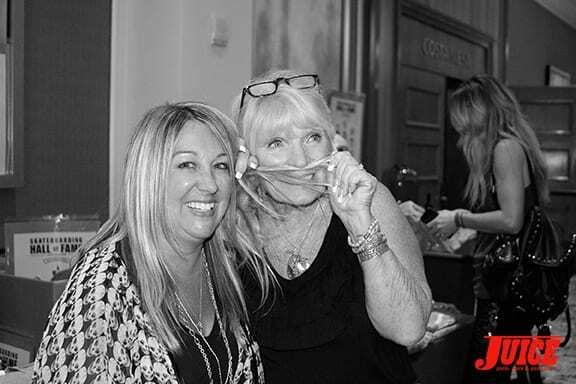 Happy hour starts at 5pm followed by a VIP meet and greet with cocktails and appetizers at 6:30pm and general admission starts at 7:30pm. 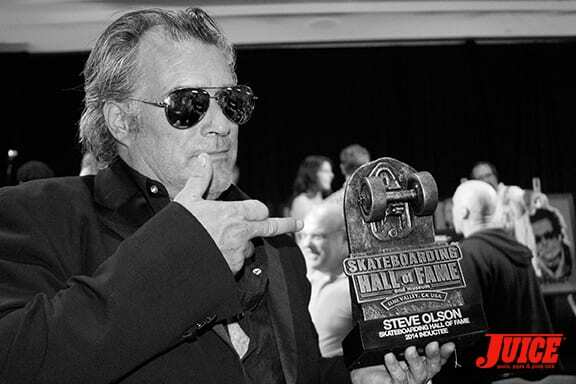 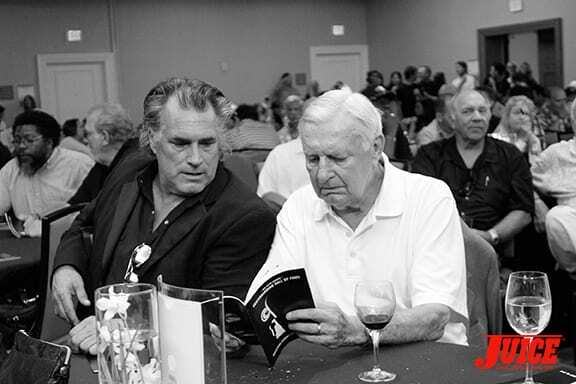 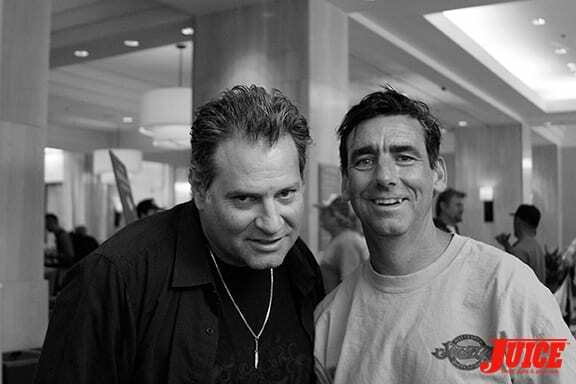 WHAT: The International Association of Skateboard Companies (IASC) and the International Skateboarding Hall of Fame (ISHOF) are proud to announce this year’s Skateboarding Hall of Fame inductees: Gregg Carroll (1960s), Jim Muir (1970s, Era One), Steve Olson (1970s, Era Two), Lance Mountain (1980s, Era One), Natas Kaupas (1980s, Era Two), and two women –Laurie Turner DeMott (1960s) and Ellen Oneal Deason (1970s). 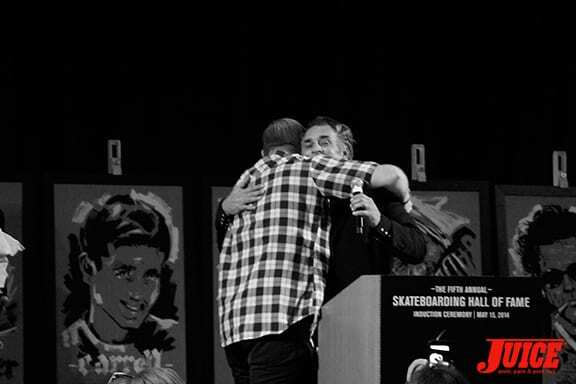 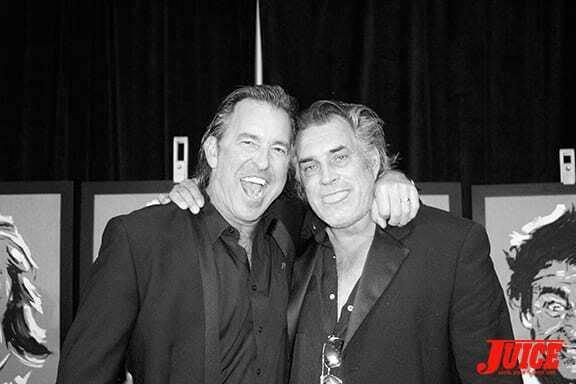 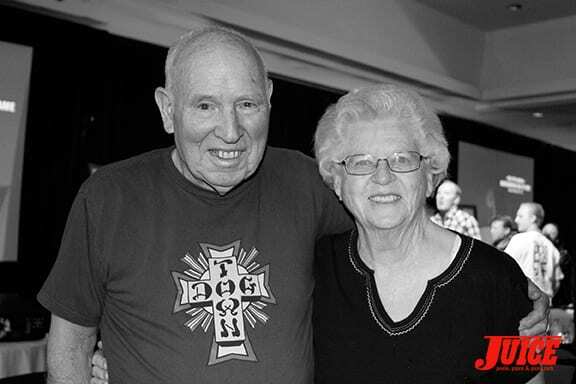 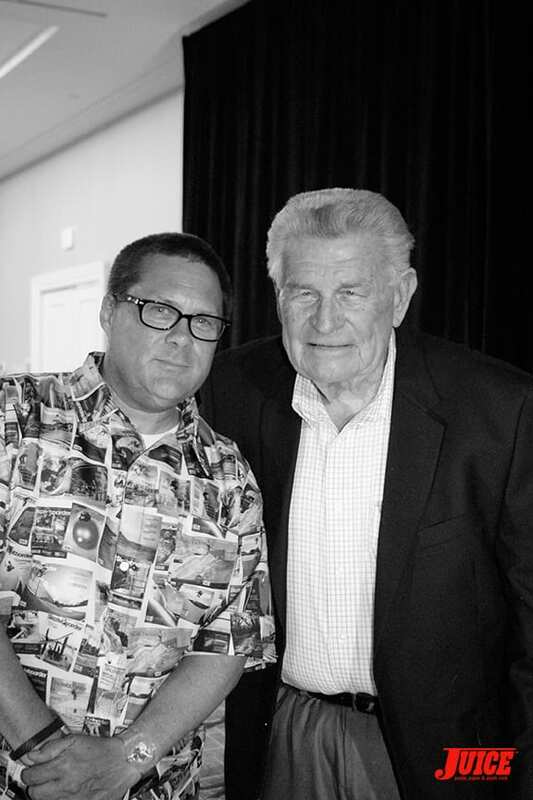 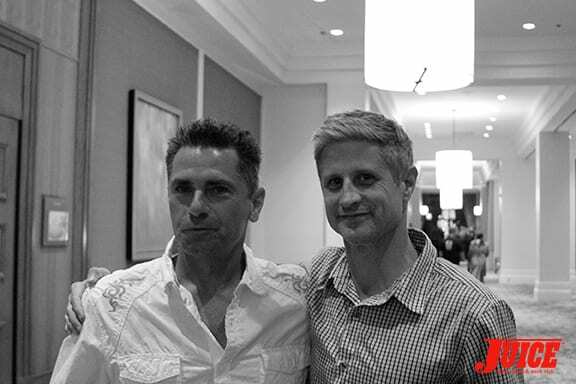 This year’s Icon Award recipients are Fausto Vitello, J.Grant Brittain and Pipeline Skatepark / The Hoffman Family. 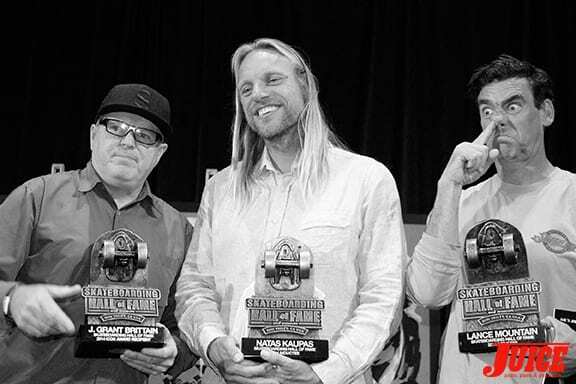 Created in 2009, The Skateboarding Hall of Fame recognizes and honors the history of skateboarding and those influential figures who have significantly shaped skateboarding and our culture throughout the years. 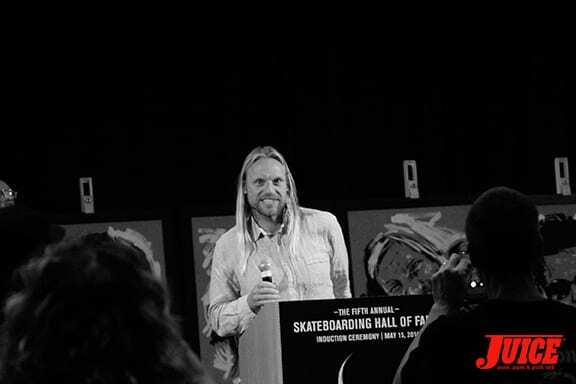 The night will include a Happy Hour, VIP meet-and-greet cocktail party, and the Awards Ceremony. 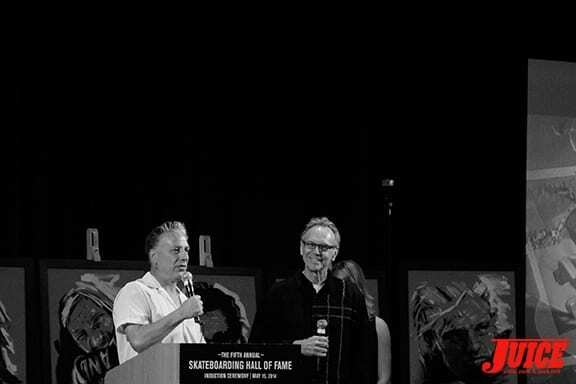 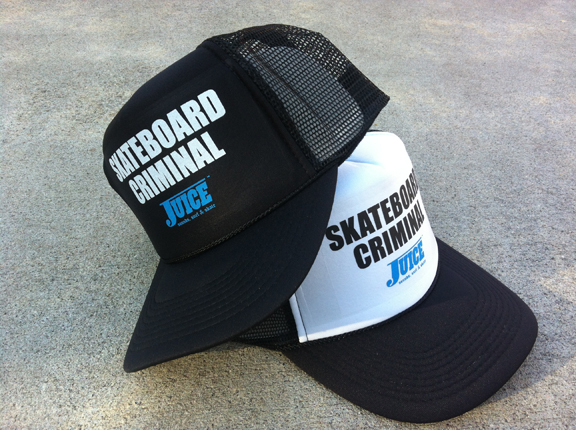 All proceeds benefit the not-for-profit efforts of the Skateboarding Hall of Fame and the Go Skateboarding Foundation’s Just One Board initiative.